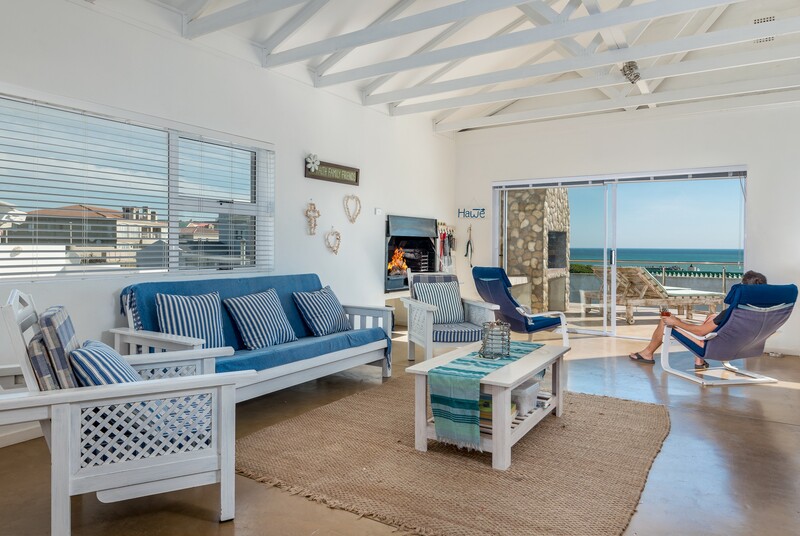 EngelZicht Self Catering Beach Villa is a beautifully decorated, fully equipped, double-story beach house with stunning sea views from the outside patio/deck as well as the open plan living room & kitchen. 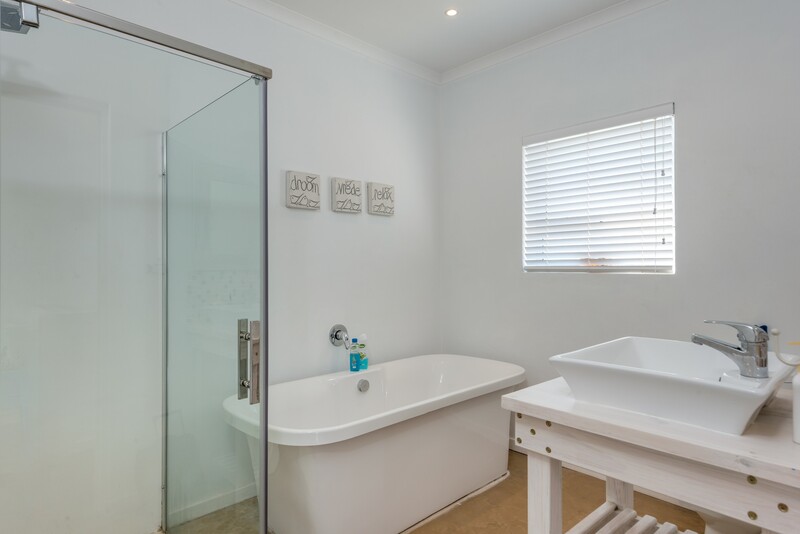 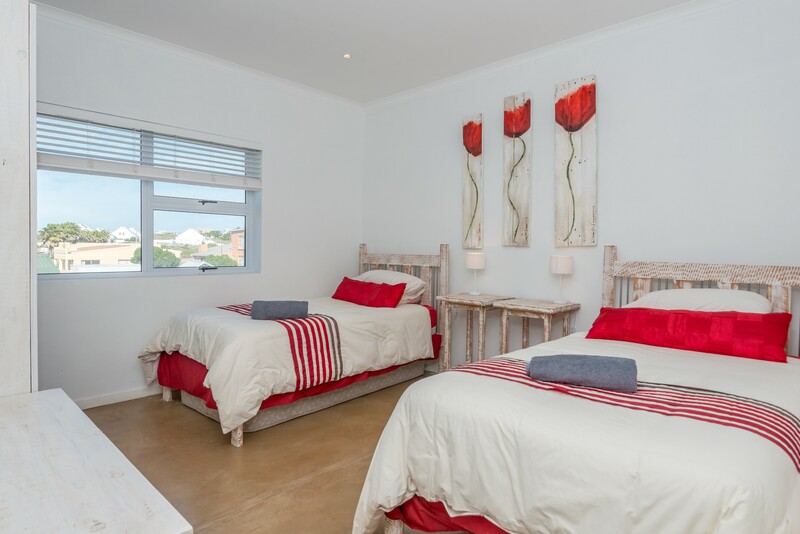 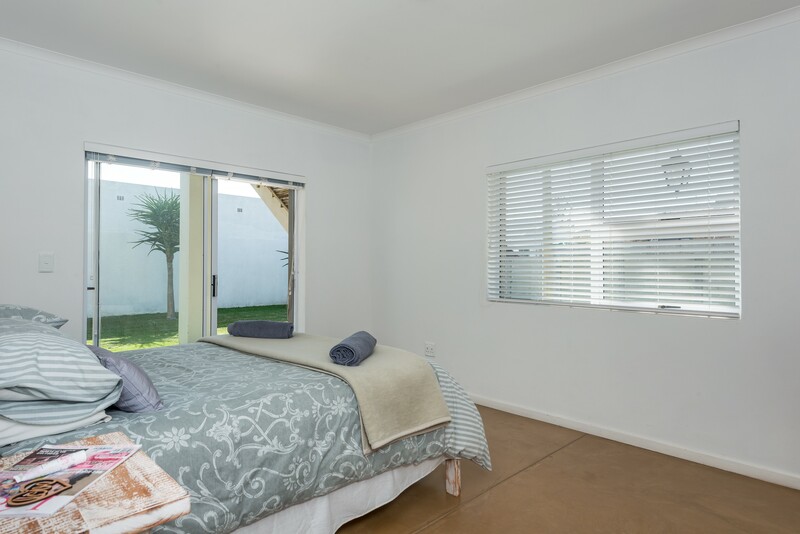 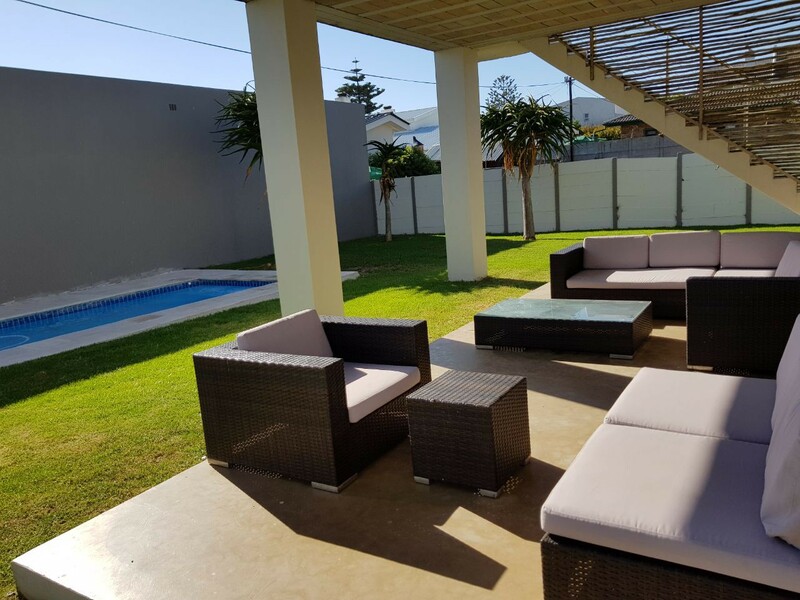 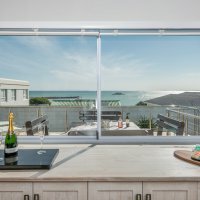 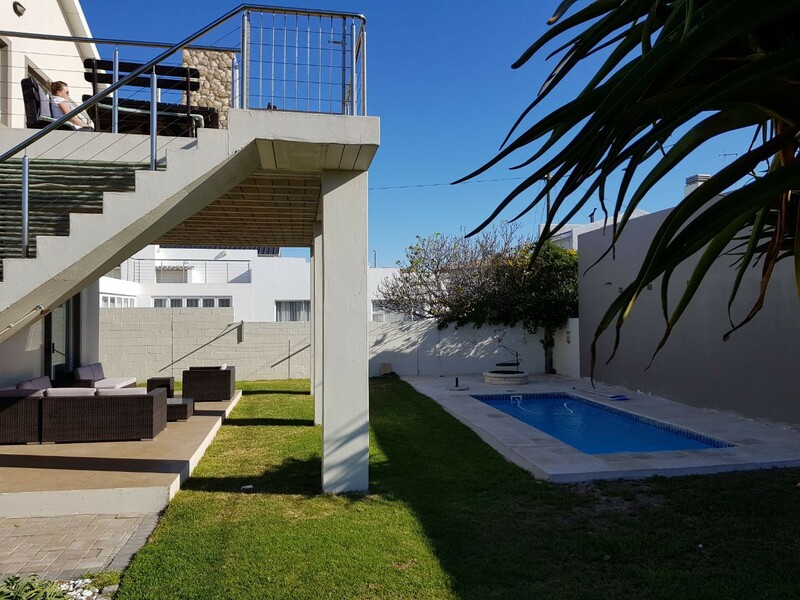 Just a few hundred meters to the beach, and Harbor, located close to shops, coffee shops, restaurants & bars, its located at the perfect spot in Yzerfontein. 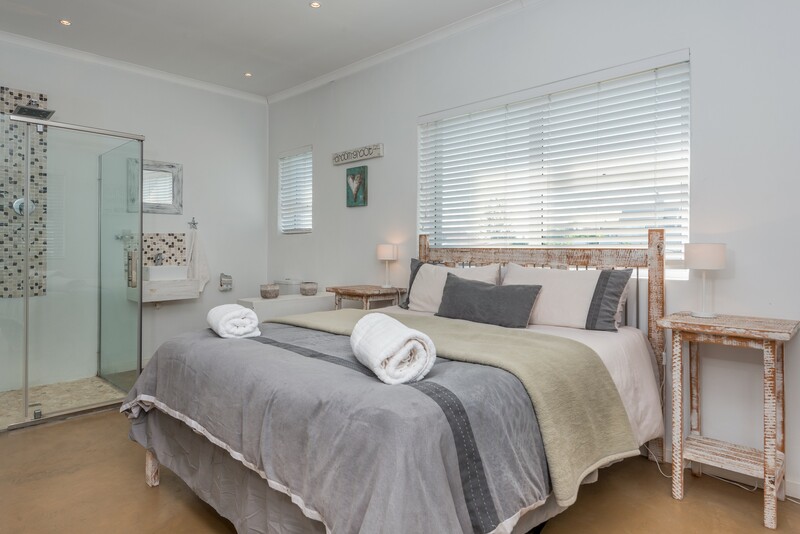 In the surrounds there are lots to see and do, like fishing, golfing, hiking, game drives and more! 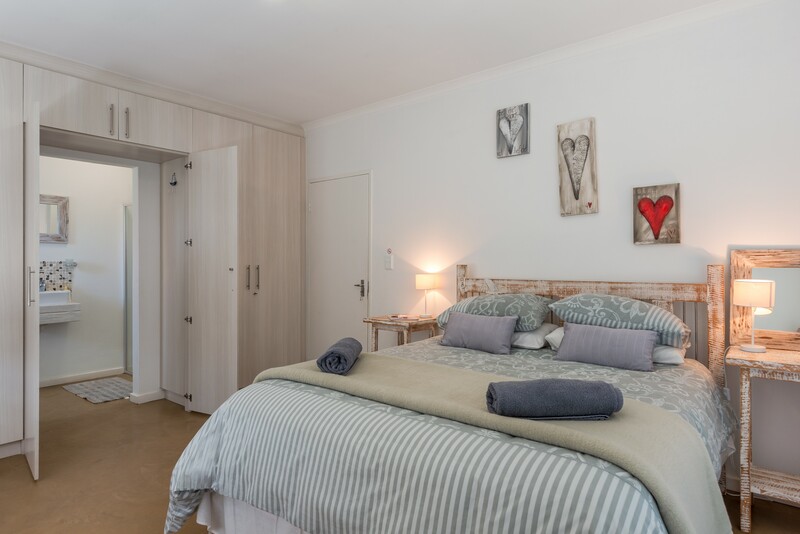 EngelZicht boasts 3 spacious bedrooms (2 x double rooms(en-suite) & 1 x twin-beds room), sleeping 6 adults, with space for up to 3 extra children. 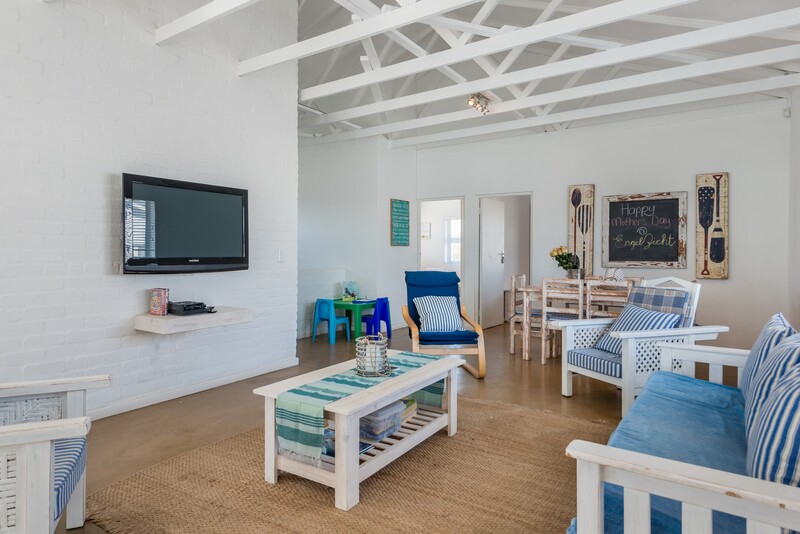 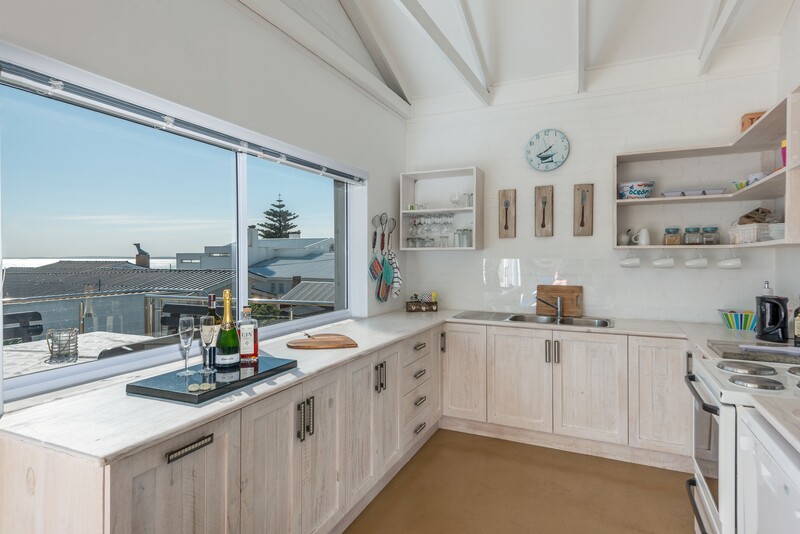 With a large outside patio & outside braai, overlooking our swimming pool, Yzerfontein Harbor and magnificent Meeurots, you are guaranteed of a good time. 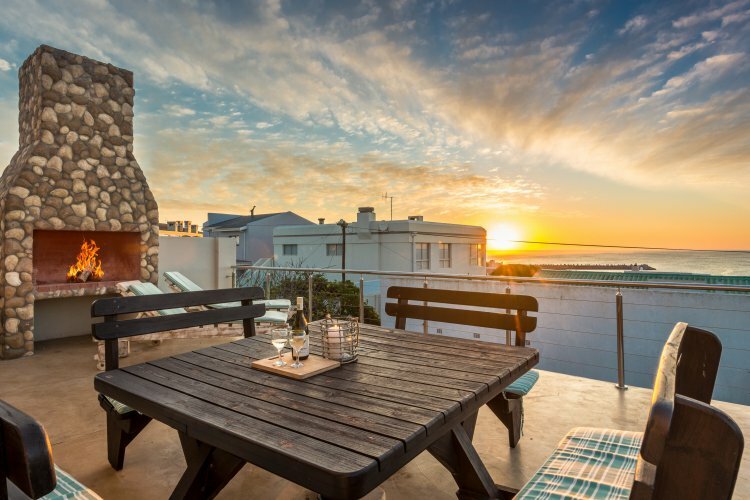 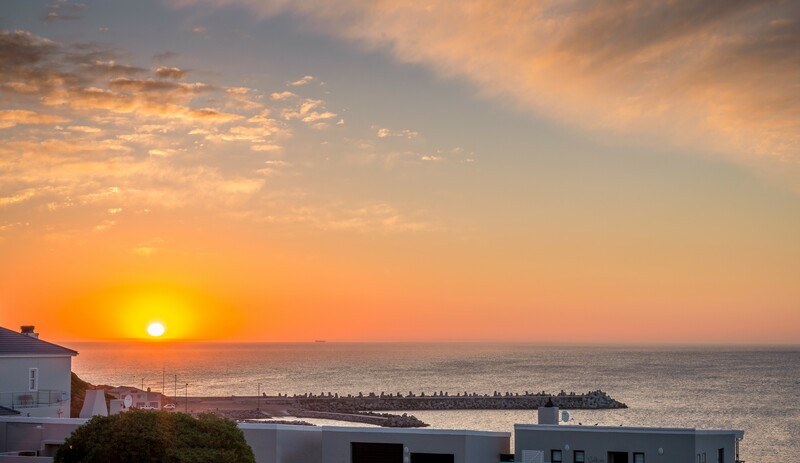 Soak up the beautiful sunset with a glass of wine (or coffee), and a fish/meat braai, where you can see, hear and smell the ocean . 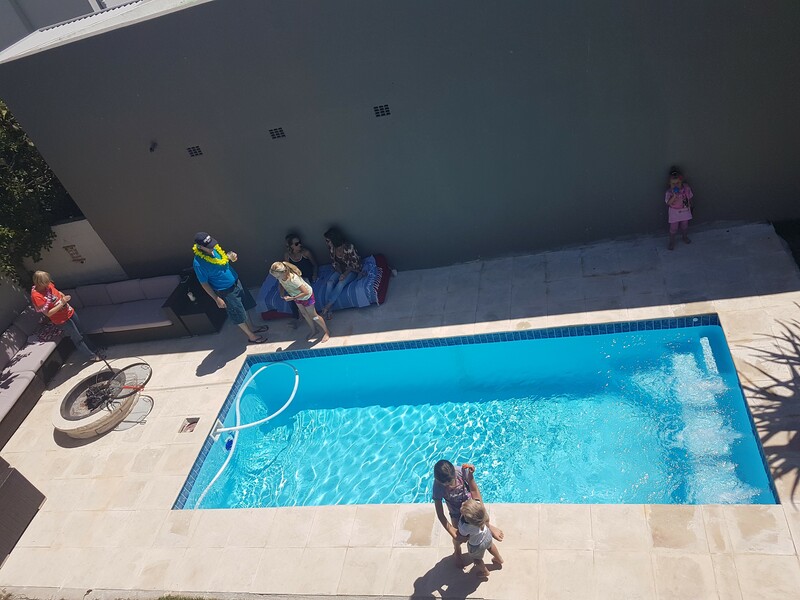 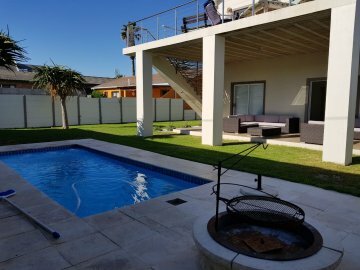 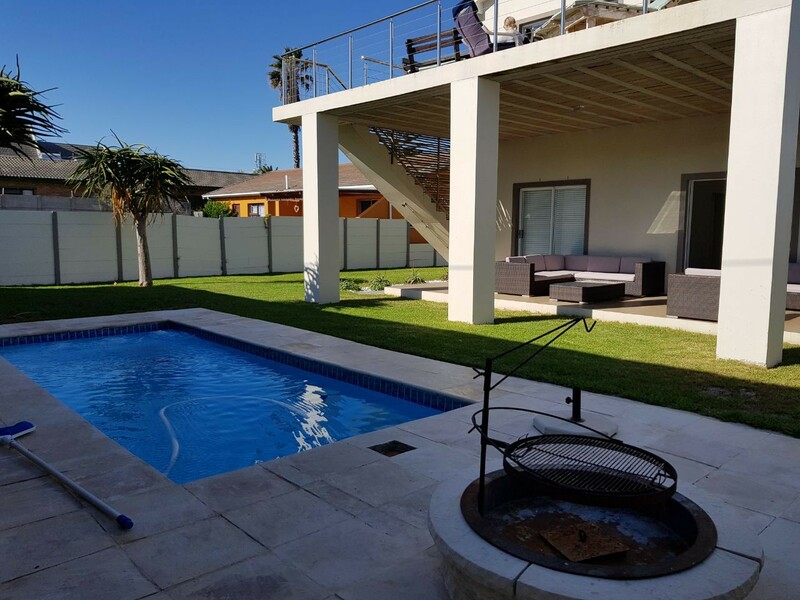 For the colder evenings, it also has a indoor braai, and huge open plan living area, with TV, as well as a whole games room down stairs, with pool, Darts and Table Tennis.